Like most website operators, Tonal Vision collects non-personally-identifying information of the sort that web browsers and servers typically make available, such as the browser type, language preference, referring site, and the date and time of each visitor request. Tonal Vision’s purpose in collecting non-personally identifying information is to better understand how Tonal Vision’s visitors use our website. From time to time, Tonal Vision may release non-personally-identifying information in the aggregate, e.g., by publishing a report on trends in the usage of our website. Tonal Vision also collects potentially personally-identifying information like Internet Protocol (IP) addresses for logged in users and for users leaving comments on our blog. Tonal Vision only discloses logged in user and commenter IP addresses under the same circumstances that we use and disclose personal information as described below, except that blog commenter IP addresses may be visible and disclosed to the administrators of the blog where the comment was left. Purchases from Tonal Vision's store require additional personal information to process orders. In each case, Tonal Vision collects only the information necessary to allow us to complete and ship your purchase. We disclose that information only to employees who need it for order processing. Your actual payment transaction is completed on PayPal's site, and PayPal communicates your order to us via email. We do not have access to your credit card information, and information about the transaction is not stored on our server. Tonal Vision will not not sell, trade, or otherwise transfer to outside parties your personally identifiable information. 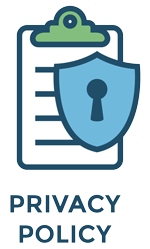 This does not include trusted third parties who assist us in operating our website, conducting our business, or servicing you, so long as those parties agree to keep this information confidential. We may also release your information when we believe release is appropriate to comply with the law, enforce our site policies, or protect ours or others rights, property, or safety.